I did a little ETSY shopping right before the arctic front got here. 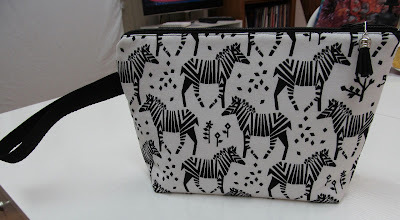 Char over at Clothstitched blog showed some new things she had put in her ETSY shop so I visited it and was immediately ready to purchase the zebra pouch. This won't surprise my closest friends who know I love zebras. The rope coil basket caught my eye too because I love the artistic treatment she used for the end of the coil. I have seen some pretty awkward endings before and this one is so nice. I loved the bright colors too. I have never made any of these and most likely never will. I have too many other things on my wish list to make. I know I could make a pouch myself but I'm on a roll with finishing (and starting) quilts right now so I splurged. Char's workmanship is excellent on both items. I like the fabrics she used on some of the others too. I have no affiliation with the shop, just wanted to recommend the shop because I appreciate good quality. 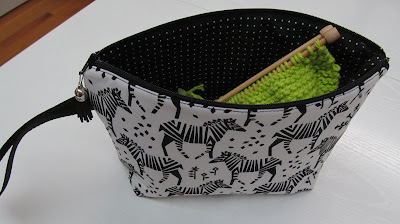 I'm thinking this one might be used for my dishcloth knitting as it fits in there just perfectly. This bowl certainly has exuberant colors! Those are gorgeous. My suitcases have zebras on them not so much because I love zebras but because pretty much no one else has a suitcase like that so they're easy to spot!! 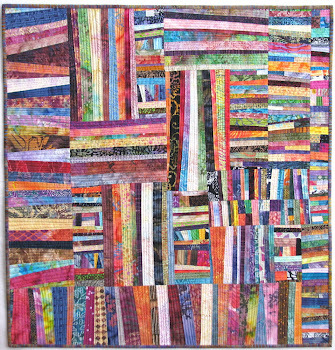 HA Keep up the quilting streak! What a pretty bowl - I bought one a while back thinking much the way you did - interesting rope end treatment and I'm never going to make one of these myself. Fun way to use that awesome zebra pouch. Sweet buys! I like the rope bowl ending as well. I've made some, and they are quite relaxing to stitch and shape. But there is some prep to getting things underway. Zebra bag looks perfectly sized. Those are both so fun. I have some of that zebra fabric and love it. You’re right. That bowl has such a pretty ending to it. Gorgeous colors too. There are some things to just splurge on and get to use. Time is too precious to split in a lot of different directions. 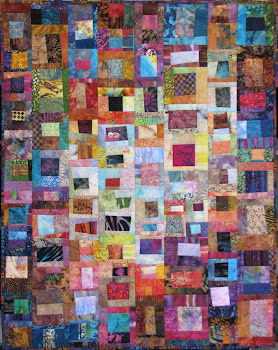 Quilting is a whole area unto itself in its demands and requirements. I got rid of all my yarn so I could concentrate on quilting and painting. You chose wonderful items to buy and you are supporting another artist's passion- win-win. Thanks for sharing your "shopping spree" with us. 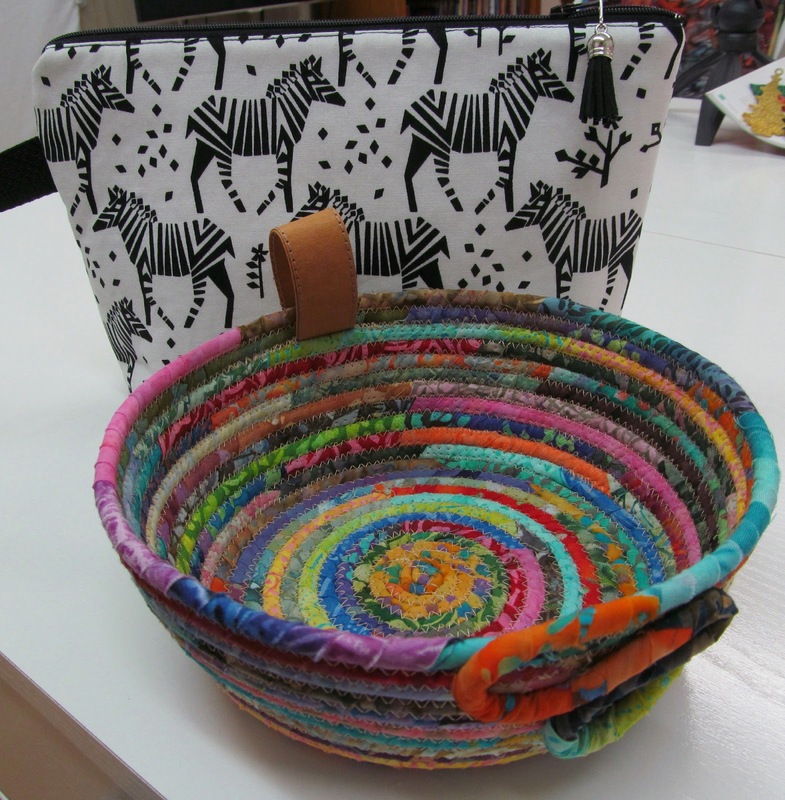 Of course you'd select an exuberant fabric bowl, it belongs in your house like your zebras. 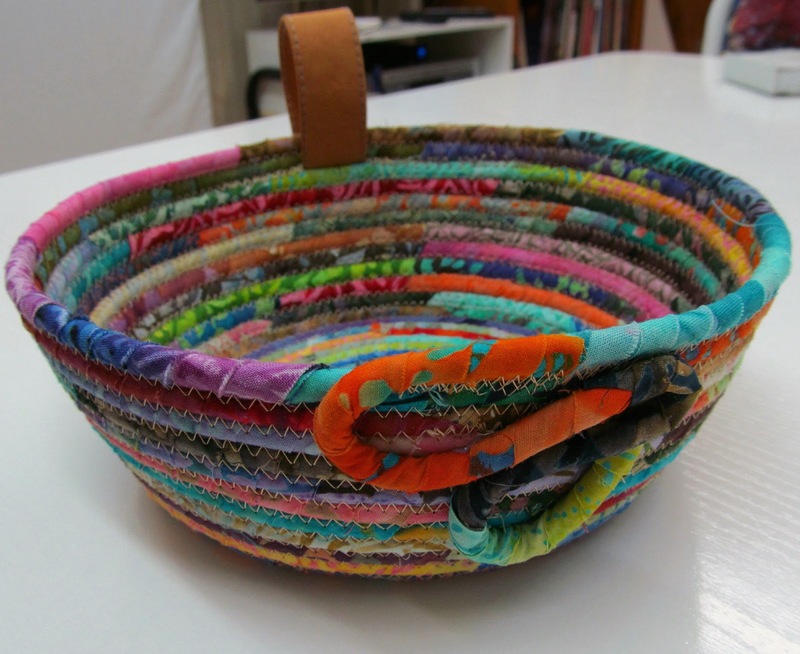 Love those fabric bowls and have made many with old denim, emblished with leather. You scored two lovely pieces there! There are lots of things that I can make or can learn to make, but they're not things I enjoy doing. Truthfully, I'd rather pay someone else to do it. I would have done what you did too, lol. And lovely purchases they were!